On this date in 2002, the world was introduced to Samara Morgan, evil incarnate. 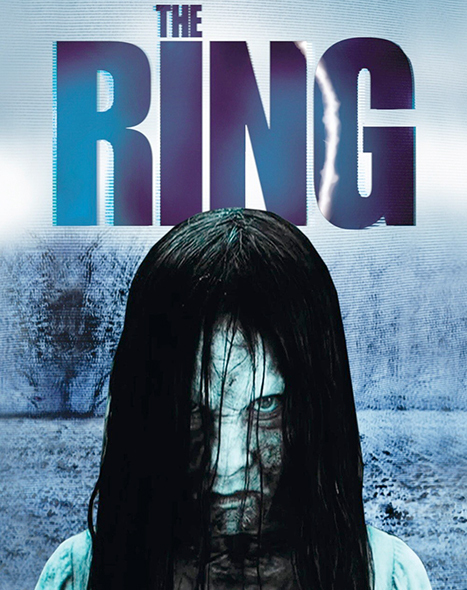 The Ring is a remake of Ringu, a 1998 Japanese horror film that draws on the folk tale, BanchoI Sarayashiki. As legend tells it, there was once a beautiful servant named Okiku who worked for a samurai, Aoyama Tessan. Okiku often refused his amorous advances. Despite his trickery, Okiku remained solemn. Aoyama became enraged, and threw her down a well to her death. It is said that Okiku became a vengeful spirit (OnryoI) who tormented her murderer. In the 2002 American adaptation, a group of teens watch “a video tape that kills you when you watch it.” After watching the tape, the phone rings, and a voice on the other end utters “seven days.” Exactly one week later, you die. The film depicts Rachel Keller, an investigative reporter, who is looking into her niece’s death when she discovers the urban legend. The Ring may have also been inspired by The Tragedy at Road Hill House. In June 1860, 3- year-old Francis “Saville” Kent disappeared from his home. His body was found in a privy on the property. While the boy’s nursemaid, Elizabeth, was initially arrested, Francis’s sister, Constance Kent, would confess to the murder five years later. Yet another perspective comes from the study of the corporeal undead. Also known as “utburd,” mylings are phantasmal incarnations of the souls of unbaptized children who are forced to roam the earth until they could persuade someone to bury them properly. Mylings ‘ translated as “that which is taken outside” – refer to the practice of abandoning unwanted children (usually in the woods where death is almost certain). In The Ring, the teens discover Samara’s myth in a cabin in the woods. Interestingly, another Asian (Tai) horror film depicting a “floaty girl” continues this narrative. Written and directed by Banjong Pisanthanakun, Shutter (2004) illustrates how mylings chase lone wanderers at night and jump on their backs, demanding to be carried to the graveyard so they can rest in hallowed ground. In The Ring, Rachel discovers Samara’s body, and she’s given a proper burial in 7 days. Two taglines from the movie highlight teaching points in psychiatry. First, “she never sleeps” hallmarks the inevitability of death. Interestingly, a story with the same moral, Appointment in Samarra, shares its title name (synonym) with The Ring’s evil antagonist. Second, “she only wants to be heard” represents a major theme in patient-centered medicine, with patient histories – and the need for patients to convey them in a milieu of unconditional positive regard (Carl Rogers) – being a critical component of healthcare. Another teaching point focuses on whether Samara is “pure evil.” The Ring is a fictional case study of a “bad seed” (see Damien from The Omen, 1976) in the “nature versus nurture’ discussion of the etiology of Antisocial Personality Disorder. Finally, a third psychiatric teaching point focuses on the nonverbal communication of horses. In the film, the horses at the Morgan ranch went mad and drowned themselves, a fate similar to the horse on the ferry on the way to Richard Morgan’s island home. The animal’s intuition is scientifically based. As prey animals, horses have hearts 5x the size of humans’. Their electromagnetic pulse (torus) results in a coherent heart rate that synchronizes with humans (or mylings). Institutions of higher education such as Rutgers Robert Wood Johnson Medical School take advantage of the coherent heart rate of horses by partnering with equine centers (Spring Reins of Hope) to run innovative curricula that use horses to teach medical students nonverbal communication to improve bedside manners.